Put beer, onions and garlic into a large pot and bring to a boil. Add brats and cover. Simmer for about 10-12 minutes, flipping brats at least once. Preheat grill to medium-high heat. Grill brats until evenly browned on all sides. Warning: the brats contain a lot of fat so there will be massive flames. Don’t worry, they are resilient to burning! 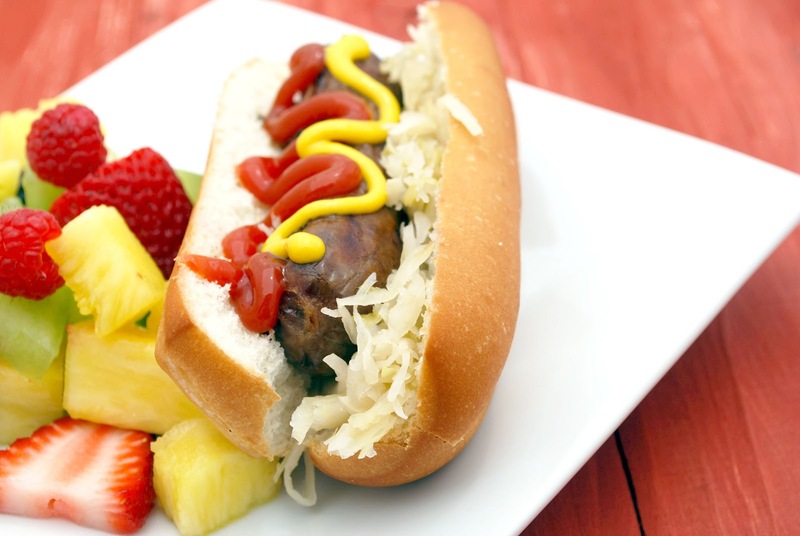 Serve brats on buns with lots of sauerkraut, ketchup and mustard.